President Barack Obama makes a statement about Iran’s nuclear program in November 2013. BRENDAN SMIALOWSKI/AFP/Getty Images. Moreover, that has been true from the beginning. In the first year of Obama’s first term, a senior administration official would later tell David Sanger of the New York Times, “There were more [White House] meetings on Iran than there were on Iraq, Afghanistan, and China. It was the thing we spent the most time on and talked about the least in public [emphasis added].” All along, Obama has regarded his hoped-for “comprehensive agreement” with Iran as an urgent priority, and, with rare exceptions, has consistently wrapped his approach to that priority in exceptional layers of secrecy. If, in Bushland, America had behaved like a sheriff, assembling a posse to go in search of monsters, in Obamaworld America would disarm its rivals by ensnaring them in a web of cooperation. For the new president, nothing revealed the conceptual inadequacies of Bushland more clearly than the 2003 invasion of Iraq. Before coming to Washington, Obama had opposed the toppling of the Iraqi dictator Saddam Hussein; once in the U.S. Senate, he rejected Bush’s “surge” and introduced legislation to end the war. Shortly after his inauguration in January 2009, he pledged to bring the troops home quickly—a commitment that he would indeed honor. But if calling for withdrawal from Iraq had been a relatively easy position to take for a senator, for a president it raised a key practical question: beyond abstract nostrums like “no nation can . . . dominate another nation,” what new order should replace the American-led system that Bush had been building? This was, and remains, the fundamental strategic question that Obama has faced in the Middle East, though one would search his speeches in vain for an answer to it. But Obama does have a relatively concrete vision. When he arrived in Washington in 2006, he absorbed a set of ideas that had incubated on Capitol Hill during the previous three years—ideas that had received widespread attention thanks to the final report of the Iraq Study Group, a bipartisan congressional commission whose co-chairs, former secretary of state James Baker and former Indiana congressman Lee Hamilton, interpreted their mission broadly, offering advice on all key aspects of Middle East policy. The report, published in December 2006, urged then-President Bush to take four major steps: withdraw American troops from Iraq; surge American troops in Afghanistan; reinvigorate the Arab-Israeli “peace process”; and, last but far from least, launch a diplomatic engagement of the Islamic Republic of Iran and its junior partner, the Assad regime in Syria. 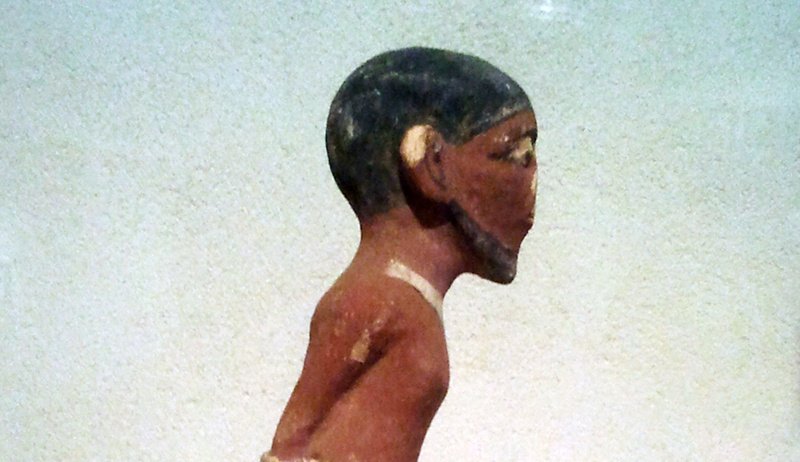 Baker and Hamilton believed that Bush stood in thrall to Israel and was therefore insufficiently alive to the benefits of cooperating with Iran and Syria. Those two regimes, supposedly, shared with Washington the twin goals of stabilizing Iraq and defeating al-Qaeda and other Sunni jihadi groups. In turn, this shared interest would provide a foundation for building a concert system of states—a club of stable powers that could work together to contain the worst pathologies of the Middle East and lead the way to a sunnier future. Expressing the ethos of an influential segment of the foreign-policy elite, the Baker-Hamilton report became the blueprint for the foreign policy of the Obama administration, and its spirit continues to pervade Obama’s inner circle. Denis McDonough, now the president’s chief of staff, once worked as an aide to Lee Hamilton; so did Benjamin Rhodes, who helped write the Iraq Study Group’s report. Obama not only adopted the blueprint but took it one step further, recruiting Vladimir Putin’s Russia as another candidate for membership in the new club. The administration’s early “reset” with Russia and its policy of reaching out to Iran and Syria formed two parts of a single vision. If, in Bushland, America had behaved like a sheriff, assembling a posse (“a coalition of the willing”) to go in search of monsters, in Obamaworld America would disarm its rivals by ensnaring them in a web of cooperation. To rid the world of rogues and tyrants, one must embrace and soften them. 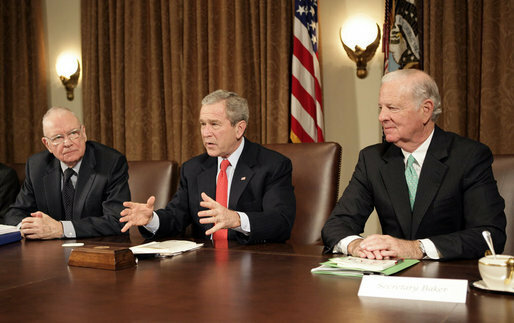 Lee Hamilton, George W. Bush, and James Baker during a meeting of the Iraq Study Group, Wednesday, Dec. 6. 2006. White House Photo. How would this work in the case of Iran? During the Bush years, an elaborate myth had developed according to which the mullahs in Tehran had themselves reached out in friendship to Washington, offering a “grand bargain”: a deal on everything from regional security to nuclear weapons. The swaggering Bush, however, had slapped away the outstretched Iranian hand, squandering the opportunity of a lifetime to normalize U.S.-Iranian relations and thereby bring order to the entire Middle East. Unfortunately, the Supreme Leader of Iran, Ali Khamenei, ignored the president’s invitation. Five months later, in June 2009, when the Green Movement was born, his autocratic fist was still clenched. As the streets of Tehran exploded in the largest anti-government demonstrations the country had seen since the revolution of 1979, he used that fist to beat down the protesters. For their part, the protesters, hungry for democratic reform and enraged by government rigging of the recent presidential election, appealed to Obama for help. 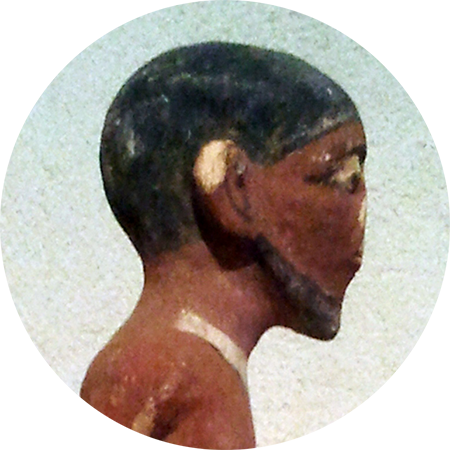 He responded meekly, issuing tepid statements of support while maintaining a steady posture of neutrality. To alienate Khamenei, after all, might kill the dream of a new era in U.S.-Iranian relations. If this show of deference was calculated to warm the dictator’s heart, it failed. “What we intended as caution,” one of Obama’s aides would later tell a reporter, “the Iranians saw as weakness.” Indeed, the president’s studied “caution” may even have emboldened Tehran to push forward, in yet another in the long series of blatant violations of its obligations under the nuclear Nonproliferation Treaty (NPT), with its construction of a secret uranium enrichment facility in an underground bunker at Fordow, near Qom. When members of Iran’s Green Movement appealed to Obama for help in 2009, he responded meekly—after all, to alienate Khamenei might kill the dream of a new era in U.S.-Iranian relations. This time, Obama reacted. Revealing the bunker’s existence, he placed Khamenei in a tough spot. The Russians, who had been habitually more lenient toward the Iranian nuclear program than the Americans, were irritated by the disclosure of this clandestine activity; the French were moved to demand a strong Western response. But when Khamenei finessed the situation by adopting a seemingly more flexible attitude toward negotiations, Obama quickly obliged. Delighted to find a receptive Iranian across the table, he dismissed the French call for toughness, instead volunteering a plan that would meet Iran’s desire to keep most of its nuclear infrastructure intact while proving to the world that it was not stockpiling fissile material for a bomb. In keeping with his larger aspirations, the president also placed Moscow at the center of the action, proposing that the Iranians transfer their enriched uranium to Russia in exchange for fuel rods capable of powering a nuclear reactor but not of being used in a bomb. The Iranian negotiators, displaying their new spirit of compromise, accepted the terms. Even President Ahmadinejad, the notorious hardliner, pronounced himself on board. Obama, it seemed to some, had pulled off a major coup. Less than a year after taking office, he was turning his vision of a new Middle East order into a reality. Or was he? Once the heat was off, Khamenei reneged on the deal, throwing the president back to square one and in the process weakening him politically at home, where congressional skeptics of his engagement policy now began lobbying for more stringent economic sanctions on Tehran. To protect his flank, Obama tacked rightward, appropriating, if with visible reluctance, some of his opponents’ rhetoric and bits of their playbook as well. In 2010, he signed into law the Comprehensive Iran Sanctions, Accountability, and Divestment Act (CISADA), which eventually would prove more painful to Iran than any previous measure of its kind. In later years, whenever Obama would stand accused of being soft on Iran, he would invariably point to CISADA as evidence to the contrary. “[O]ver the course of several years,” he stated in March 2014, “we were able to enforce an unprecedented sanctions regime that so crippled the Iranian economy that they were willing to come to the table.” The “table” in question was the negotiation resulting in the November 2013 agreement, known as the Joint Plan of Action (JPOA), which we shall come to in due course. But masked in the president’s boast was the fact that he had actually opposed CISADA, which was rammed down his throat by a Senate vote of 99 to zero. Once the bill became law, a cadre of talented and dedicated professionals in the Treasury Department set to work implementing it. But the moment of presumed “convergence” between Obama and his congressional skeptics proved temporary and tactical; their fundamental difference in outlook would become much more apparent in the president’s second term. For the skeptics, the way to change Khamenei’s behavior was to place him before a stark choice: dismantle Iran’s nuclear program—period—or face catastrophic consequences. For Obama, to force a confrontation with Khamenei would destroy any chance of reaching an accommodation on the nuclear front and put paid to his grand vision of a new Middle East order. “The hardest cross I have to bear is the Cross of Lorraine,” Winston Churchill supposedly cracked about managing his wartime relations with Charles de Gaulle. As Obama sees it, his hardest cross to bear has been the Star of David, represented by Israel’s prime minister Benjamin Netanyahu. To the Israelis, who have long regarded Iran’s nuclear program as an existential threat, Obama’s engagement policy was misguided from the start. Their assessment mattered, because influential Americans listened to them. 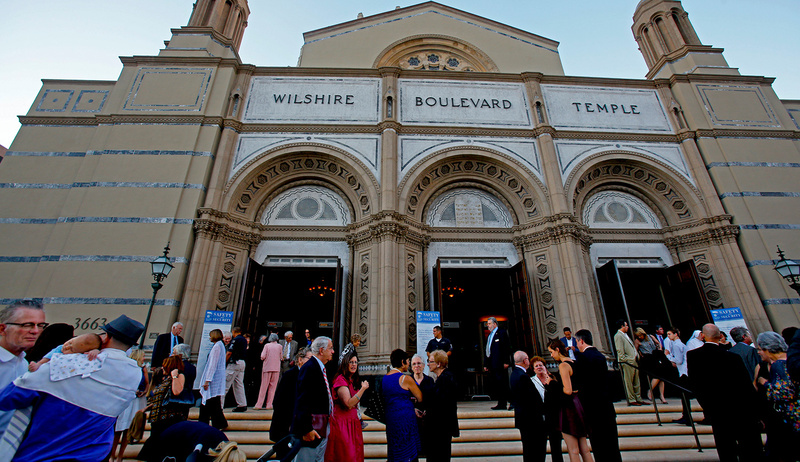 What was more, American Jews constituted an important segment of the Democratic party’s popular base and an even more important segment of its donors. In the election year of 2012, for Obama to be perceived as indifferent to Israeli security would jeopardize his prospects of a second term—and hardly among Jews alone. When the Israelis threatened to attack Iran, Obama responded by putting Israel in a bear hug. From one angle, it looked like an expression of friendship. From another, like an effort to break Netanyahu’s ribs. The Israelis did more than just criticize Obama; they also threatened to take action against Iran that would place the president in an intolerable dilemma. In 2011, Ehud Barak, the defense minister at the time, announced that Iran was quickly approaching a “zone of immunity,” meaning that its nuclear program would henceforth be impervious to Israeli attack. As Iran approached that zone, Israel would have no choice but to strike. And what would America do then? The Israeli warnings grew ever starker as the presidential election season heated up. Netanyahu, it seemed, was using the threat of Israeli action as a way of prodding Washington itself to take a harder line. To this challenge, Obama responded by putting Israel in a bear hug. From one angle, it looked like an expression of profound friendship: the president significantly increased military and intelligence cooperation, and he insisted, fervently and loudly, that his policy was to prevent Iran from acquiring a nuclear weapon by all means possible. With the aid of influential American Jews and Israelis who testified to his sincerity, Obama successfully blunted the force of the charge that he was hostile to Israel. From another angle, however, the bear hug looked like an effort to break Netanyahu’s ribs. Even while expressing affection for Israel, Obama found ways to signal his loathing for its prime minister. During one tense meeting at the White House, for example, the president abruptly broke off to join his family for dinner, leaving Netanyahu to wait for him alone. In mitigation, Obama supporters would adduce ongoing friction between the two countries over West Bank settlements and peace negotiations with the Palestinians. This was true enough, but the two men differed on quite a number of issues, among which Iran held by far the greatest strategic significance. In managing the anxieties of his liberal Jewish supporters, Obama found it useful to explain the bad atmosphere as a function of Netanyahu’s “extremism” rather than of his own outreach to Iran—to suggest, in effect, that if only the hothead in the room would sit down and shut up, the grownups could proceed to resolve the Iranian nuclear problem along reasonable lines. The tactic proved effective. 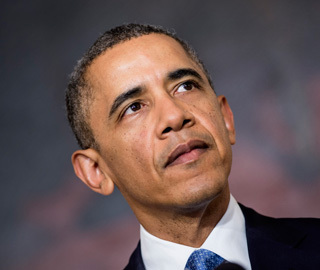 At least for the duration, Obama prevented Israel from attacking Iran; preserved American freedom of action with regard to Iran’s nuclear program; and kept his disagreements with the Israeli government within the comfort zone of American Jewish Democrats. If, however, Netanyahu was Obama’s biggest regional headache, there was no lack of others. King Abdullah of Saudi Arabia was certainly the most consequential. Obama had assumed that the king would welcome his approach to the Middle East as a breath of fresh air. After all, the Baker-Hamilton crowd regarded the Arab-Israeli conflict as the major irritant in relations between the United States and the Arabs. Bush’s close alignment with Israel, so the thinking went, had damaged those relations; by contrast, Obama, the moment he took office, announced his goal of solving the Arab-Israeli conflict once and for all, and followed up by picking a fight with Netanyahu over Jewish settlements in the West Bank. How could the Saudis react with anything but pleasure? In fact, they distanced themselves—bluntly and publicly. While meeting with Secretary of State Hillary Clinton at the end of July 2009, Saudi Foreign Minister Saud al-Faisal announced that Obama’s approach to solving the Arab-Israeli conflict “has not and, we believe, will not lead to peace.” Behind that statement lay a complex of attitudes toward the Israeli-Palestinian conflict itself, but much more than that. At the end of the Bush administration, King Abdullah had made his top regional priority abundantly clear when, according to leaked State Department documents, he repeatedly urged the United States to destroy Iran’s nuclear program and thereby “cut off the head of the snake” in the Middle East. When Obama strode into office and announced his desire to kiss the snake, the Saudis lost no time in making their displeasure felt. Three months later, the king responded gruffly to an extensive presentation on Obama’s outreach program by Dennis Ross, then a senior official in the State Department with responsibility for Iran. “I am a man of action,” Abdullah said according to a New York Times report. “Unlike you, I prefer not to talk a lot.” He then posed a series of pointed questions that Ross could not answer. “What is your goal? What will you do if this does not work? What will you do if the Chinese and the Russians are not with you? How will you deal with Iran’s nuclear program if there is not a united response?” The questions added up to a simple point: your Iran policy is based on wishful thinking. As it happens, one traditional American ally in the region was—at least at first—untroubled by Obama’s policy of Iran engagement: the Turkish leader Recep Tayyip Erdoğan. Indeed, Erdoğan found much to extol in the new American initiative, which dovetailed perfectly with his own foreign policy of “zero problems with [Arab and Muslim] neighbors.” Among other things, Erdoğan meant to establish Ankara as the middleman between the United States and Iran and Syria, Turkey’s traditional adversaries. This vision nested so comfortably within Obama’s planned concert system that Erdoğan quickly became one of the few international personalities with whom Obama developed a close personal rapport. Contrary to what observers have long assumed, Obama does connect his Iran policy and his Syria policy: just as he showed deference to Iran on the nuclear front, he has deferred to the Iranian interest in Syria. Soon, however, serious tensions arose. By the summer of 2012, one problem overshadowed all others: Syria—and behind Syria, Iran. Erdoğan watched in horror as the Iranians together with their proxies, Hizballah and Iraqi Shiite militias, intervened in the Syrian civil war. Iranian-directed units were not only training and equipping Bashar Assad’s forces in his battle for survival, but also engaging in direct combat. At the same time, within the Syrian opposition to Assad, a radical Sunni jihadi element was growing at an alarming rate. In short order, the Turks were adding their voice to a powerful chorus—including Saudi Arabia, the Gulf sheikhdoms, and the Jordanians—urgently requesting that Washington take action to build up the moderate Sunni opposition to both Assad and Iran. The director of the CIA, David Petraeus, responded to this request by America’s regional allies with a plan to train and equip Syrian rebels in Jordan and to assist them once back in Syria. Defense Secretary Leon Panetta, Secretary of State Hillary Clinton, and General Martin Dempsey, the chairman of the Joint Chiefs of Staff, all supported the Petraeus plan. But Obama rejected it. Why? Undoubtedly the president had a mix of reasons and possible motives, which were the objects of extensive speculation in the media. But one motive was never included in the list: namely, his fear of antagonizing Iran. For the longest time, it was simply assumed that Obama drew no connection between his Iran policy and his Syria policy. This, however, was not the case. In fact—as we shall see below—just as, from the beginning, he showed deference to Iran on the nuclear front, he showed the same deference to the Iranian interest in Syria. Islamic State fighters in Aleppo, Syria on July 4, 2013. Photo by Daniel Leal-Olivas/Corbis. Obama’s version is an after-the-fact cocktail of misdirection and half-truths, stirred by him and his aides and served up with a clear goal in mind: to conceal Round Two of his Iran outreach. The turning point in the American-Iranian relationship was not, as the official version would have it, the election of Hassan Rouhani in June 2013. It was the reelection of Barack Obama in November 2012. In early 2013, at the outset of his second term, Obama developed a secret bilateral channel to Ahmadinejad’s regime. When the full impact of this is taken into account, a surprising fact comes to light. The turning point in the American-Iranian relationship was not, as the official version would have it, the election of Hassan Rouhani in June 2013. It was the reelection of Barack Obama in November 2012. Did Sullivan give the Iranians a similar message? Did he tell Ahmadinejad’s officials that Obama’s need to secure the pro-Israel vote had forced him to take a deceptively belligerent line toward Iran? That Iran had nothing to fear from an Israeli attack? 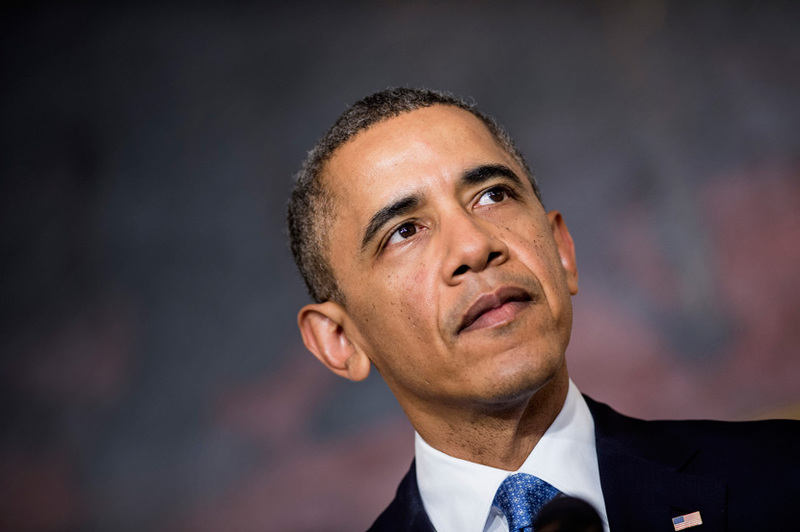 That after the election Obama would demonstrate even greater flexibility on the nuclear issue? Whatever the answers to these questions, it is a matter of record that Obama opened his second term with a campaign of outreach to Tehran—a campaign that was as intensive as it was secret. By February 2013, a month after his inauguration, the backchannel was crowded with American officials. Not just Sullivan, but Deputy Secretary of State William Burns, National Security Council staffer Puneet Talwar, State Department non-proliferation adviser Robert Einhorn, and Ambassador to the United Nations Susan Rice were all engaging their Iranian counterparts. According to the official version, this stampede toward Tehran had no impact on Iranian-American relations. Nothing notable occurred in that realm, we are told, until the arrival on the scene of Rouhani. In fact, however, it was during this earlier period that Obama laid the basis for the November 2013 Joint Plan of Action. And that agreement was the product of three American concessions—two of which, and possibly the third as well, were made long before Rouhani ever came to power. Iranian negotiators rejected these two gifts—or, rather, they pocketed them and demanded a third, the one they coveted the most. Hailing the proposals by their counterparts as a step in the right direction, they criticized them for failing to stipulate the Iranian “right to enrich.” There was a difference, they argued, between temporarily permitting Iran to enrich uranium to 5 percent and recognizing its inalienable right to do so. If Obama wanted a deal, he would have to agree to shred the Security Council resolutions by offering, up front, an arrangement that would end the economic sanctions on Iran entirely and that would allow the Iranians to enrich uranium in perpetuity. By exaggerating the spirit of reform in Tehran, the White House was able to suggest that Iran, and not America, had compromised. 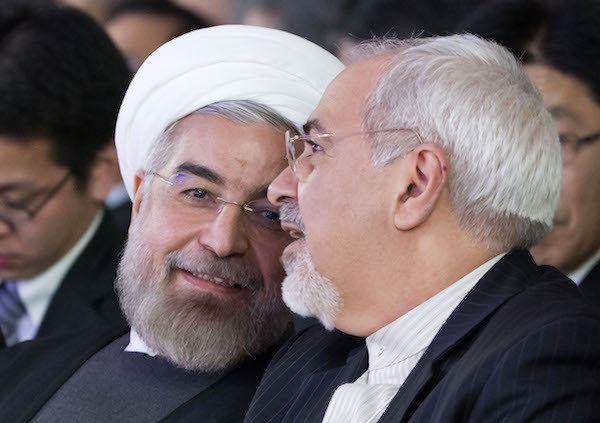 The nuclear issue wasn’t the only tender spot in U.S.-Iran relations in this period. Before returning to it, let’s look briefly at two other regional fronts. Why did Obama back off on strikes against Syria? Could it have been fear of scuttling the biggest—and still secret—foreign-policy initiative of his entire presidency? Rice’s remarks were disingenuous. In reality, the Islamic Republic was then precisely what it remains today, namely, the prime enabler of Assad’s murder machine. But Rice’s intention was not to describe Iranian behavior accurately. In addition to accustoming the American press and foreign-policy elite to the idea that Iran was at least a potential partner, her speech was aimed at influencing Congress’s deliberation of air strikes against Syria—strikes that Obama had abruptly delayed a week and a half earlier in what will certainly be remembered as one of the oddest moments of his presidency. The oddity began shortly after Obama sent Secretary of State John Kerry out to deliver a Churchillian exhortation on the theme of an impending American attack. While that speech was still reverberating, the president convened a meeting of his inner circle in the Oval Office, where he expressed misgivings about the policy that his Secretary of State had just announced. Curiously, the meeting did not include either Kerry or Secretary of Defense Chuck Hagel, the principal members of his senior national-security staff. Obama then invited Denis McDonough to break away from the others and join him for a private walk around the White House grounds. On his return, Obama stunned the waiting group with the news that he had decided to delay the strikes on Assad in order to seek congressional approval. What thoughts did Obama share with McDonough? We can dispense with the official explanation, which stresses the president’s principled belief in the need to consult the legislative branch on matters of war and peace. That belief had played no part in previous decisions, like the one to intervene in Libya. Clearly, Obama was hiding behind Congress in order either to delay action or to kill it altogether. The true reasons for the delay were evidently too sensitive even for the ears of his closest national-security aides. Could they have included fear of scuttling the biggest—and still secret—foreign-policy initiative of his second term, possibly of his entire presidency? In the event, the punt to Congress bought Obama some time, but at a significant political cost. At home the decision made him appear dithering and weak; on Capitol Hill, Democrats quietly fumed over the way the White House was abruptly ordering them out on a limb. In Syria, Assad crowed with delight as his opponents crumpled in despair. Elsewhere, American allies felt exposed and vulnerable, wondering whether Obama would ever truly come to their aid in a pinch. As we know, Obama’s quandary would become Moscow’s opportunity. Foreign Minister Sergei Lavrov offered the president a way to regain his balance. Russia and the United States, Lavrov proposed, would cooperate to strip Assad of his sarin gas. From the sidelines, the Iranians publicly applauded the proposal, and Obama jumped to accept it. But the deal was a quid pro quo. In return for a minor (though highly visible) concession from Assad, Obama tacitly agreed not to enter the Syrian battlefield. In effect, the Russians, Assad, and the Iranians were offering him, and he was accepting, surrender with honor, enabling him to say later, with a straight face, that the episode was a successful example of his coercive diplomacy. “Let’s be very clear about what happened,” he bragged in his March 2014 interview. “I threatened [sic] kinetic strikes on Syria unless they got rid of their chemical weapons.” In reality, Assad only gained—and gained big. Obama immediately muted his calls for Assad to step down from power, and his behavior thoroughly demoralized the Syrian opposition. Nor did the deal stop Assad from launching further chemical attacks. Once deprived of his sarin stockpiles, he simply switched to chlorine. This was fictive. Obama made it sound as if Tehran was eager to punish Assad for his use of chemical weapons, but nothing could have been farther from the truth. Even as he was speaking, Iran was publicly blaming the Syrian rebels, not Assad, for the Ghouta attack. Nor was stopping the slaughter ever the president’s true goal. From his perspective, he did not have the power to prevent Assad’s atrocities. He did, however, have the sense to recognize a good thing when he saw it. The opportunity to join with Iran in an ostensibly cooperative venture was too good to let slip away—and so he seized it. That Obama has treated Syria as an Iranian sphere of interest all along has been brought home in a recent report in the Wall Street Journal. In August 2014, according to the Journal, the president wrote a letter to Ali Khamenei, acknowledging the obstacle to their cooperation presented by the nuclear impasse but taking pains to reassure Khamenei regarding the fate of Assad, his closest ally. American military operations inside Syria, he wrote, would target neither the Syrian dictator nor his forces. This element of the president’s thinking has received remarkably little attention, even though Obama himself pointed to it directly in a January 2014 interview with David Remnick, the editor of the New Yorker. The Arab states and Israel, Obama said then, wanted Washington to be their proxy in the contest with Iran; but he adamantly refused to play that role. Instead, he envisioned, in Remnick’s words, “a new geostrategic equilibrium, one less turbulent than the current landscape of civil war, terror, and sectarian battle.” Who would help him develop the strategy to achieve this equilibrium? “I don’t really even need George Kennan right now,” the president responded, alluding to the acknowledged godfather of the cold-war strategy of containment. What he truly needed instead were strategic partners, and a prime candidate for that role was—he explained—Iran. Iranian President Hassan Rouhani, left, talks to his Foreign Minister Mohammad Javad Zarif at Davos in 2014. AP Photo/Michel Euler. The same desire to accommodate Iran has tailored Obama’s strategy toward the terrorist group Islamic State. That, too, has not received the attention it deserves. The administration has subtly exploited the rise of the Islamic State to elevate Obama’s outreach to Iran. Behind the scenes, coordination and consultation have reached new heights. Rhodes offered no details, and subsequent events seemed to confirm the impression that Obama actually had no long game. In addition to being caught flat-footed by Islamic State, moreover, he was reversing himself on other major issues: sending troops back to Iraq after having celebrated their homecoming, ordering military operations in Syria that he had opposed for years. How could such reversals be consistent with a long game? A positive? With American acquiescence, Iran is steadily taking control of the security sector of the Iraqi state. Soon it will dominate the energy sector as well, giving it effective control over the fifth largest oil reserves in the world. When the announced goal of the United States is to build up a moderate Sunni bloc capable of driving a wedge between Islamic State and the Sunni communities, aligning with Iran is politically self-defeating. In both Iraq and Syria, Iran projects its power through sectarian militias that slaughter Sunni Muslims with abandon. Are there any Sunni powers in the region that see American outreach to Tehran as a good thing? Are there any military-aged Sunni men in Iraq and Syria who now see the United States as a friendly power? There are none. In theory, one might argue that although an association with Iran is politically toxic and militarily dangerous, the capabilities it brings to the fight against the Islamic State more than compensate. But they don’t. Over the last three years, Obama has given Iran a free hand in Syria and Iraq, on the simplistic assumption that Tehran would combat al-Qaeda and like-minded groups in a manner serving American interests. 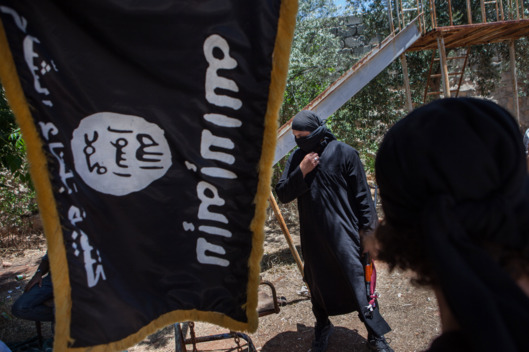 The result, in both countries, has been the near-total alienation of all Sunnis and the development of an extremist safe haven that now stretches from the outskirts of Baghdad all the way to Damascus. America is now applying to the disease a larger dose of the snake oil that helped cause the malady in the first place. The approach is detrimental to American interests in other arenas as well. We received a portent of things to come on January 18 of this year, when the Israel Defense Forces struck a convoy of senior Hizballah and Iranian officers, including a general in the Revolutionary Guards, in the Golan Heights. Ten days later, Hizballah and Iran retaliated. In other words, by treating Syria as an Iranian sphere of interest, Obama is allowing the shock troops of Iran to dig in on the border of Israel—not to mention the border of Jordan. The president’s policy assumes that Israel and America’s other allies will hang back quietly while Iran takes southern Syria firmly in its grip. They will not; to assume otherwise is folly. In November 2013, when Obama purchased the participation of Iran in the Joint Plan of Action, he established a basic asymmetry that has remained a key feature of the negotiations ever since. He traded permanent American concessions for Iranian gestures of temporary restraint. Obama has repeatedly stated, most recently in his 2015 State of the Union address, that the interim agreement “halted” the Iranian nuclear program. Or, as he put it in his March 2014 interview, the “logic” of the JPOA was “to freeze the situation for a certain period of time to allow the negotiators to work.” But the agreement froze only American actions; it hardly stopped the Iranians from moving forward. For one thing, the JPOA restricts the program only with respect to enrichment capacity and stockpiles; it is entirely silent about the military components: ballistic missiles, procurement, warhead production. For another, to call what the JPOA achieved even in these limited domains “a freeze” is a gross exaggeration. Iranian nuclear scientists have continued to perfect their craft. They are learning how to operate old centrifuges with greater efficiency. And thanks to a loophole in the JPOA permitting work on “research and development,” they are also mastering the use of new, more effective centrifuges. We can say with certainty that Obama has had no illusions about this asymmetry—that he conducted the negotiations with his eyes wide open—because the White House took pains to hide the truth from the American public. In 2013, instead of publishing the text of the JPOA, it issued a highly misleading fact sheet. Peppered with terms like “halt,” “roll back,” and “dismantle,” the document left the impression that the Iranians had agreed to destroy their nuclear program. “This strikes me as a train wreck,” a distraught Zakaria exclaimed after the interview. “This strikes me as potentially a huge obstacle because the Iranian conception of what the deal is going to look like and the American conception now look like they are miles apart.” Not long thereafter, as if to confirm the point, Ali Khamenei called for an outcome that will permit the development of an industrial-sized nuclear program over the next decade. 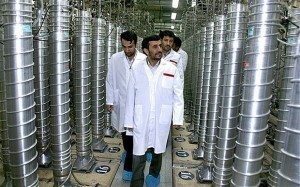 Former Iranian President Mahmoud Ahmadinejad visits a uranium enrichment facility in Natanz, Iran, in 2008. Office of the Presidency of the Islamic Republic of Iran. In theory, Khamenei’s intransigence could have handed Obama an opportunity. He could admit the “train wreck”—namely, that Round Two of his Iran engagement had followed the disastrous pattern set by Round One—and begin working with Congress and our despairing allies to regain lost leverage. This he obviously declined to do. Instead, he has chosen to keep the negotiating process alive by retreating further. Rather than leaving the table, he has paid Iran to keep negotiating—paid literally, in the form of sanctions relief, which provides Iran with $700,000,000 per month in revenue; and figuratively, with further concessions on the nuclear front. The president believes that globalization and economic integration will induce Tehran to forgo its nuclear ambitions. Meanwhile Iran’s rulers are growing stronger, bolder, and ever closer to nuclear breakout capacity. For a majority in Congress, and for all of America’s allies in the Middle East, this fact is obvious, and it leads to an equally obvious conclusion: the only way to salvage the West’s position in the nuclear negotiations is to regain the leverage that the president’s deferential approach has ceded to Iran. With this thought in mind, a large group of Senators is currently supporting legislation that will make the re-imposition of sanctions mandatory and immediate if the Iranians fail to make a deal by the time the current term of the JPOA lapses. Meanwhile, the president is depicting his congressional critics as irresponsible warmongers. He would have us believe that there are only two options: his undeclared détente with Iran and yet another war in the Middle East. This is a false choice. It ignores the one policy that every president since Jimmy Carter has pursued till now: vigorous containment on all fronts, not just in the nuclear arena. Obama, however, is intent on obscuring this option, and for a simple reason: an honest debate about it would force him to come clean with the American people and admit the depth of his commitment to the strategy whose grim results are multiplying by the day.